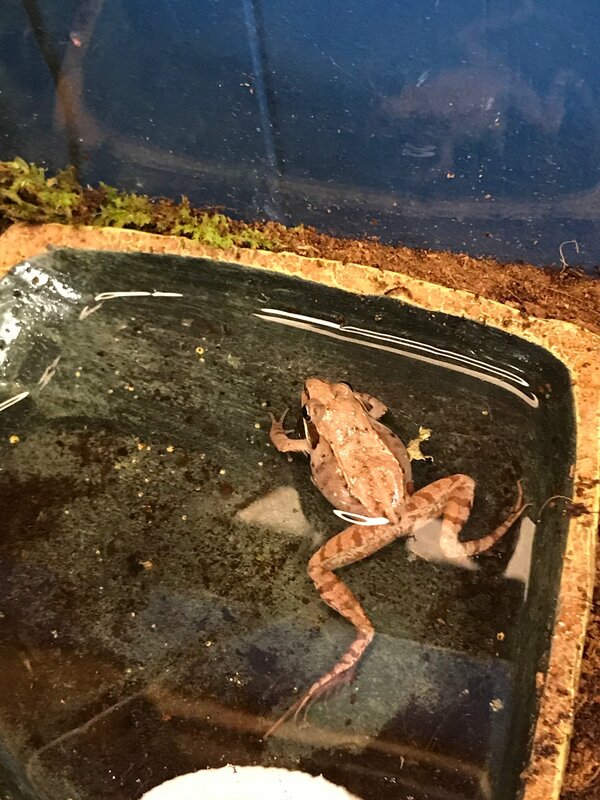 What kind of frog? Do you give it vitamins and calcium? It could be a nutritional deficiency. Try some calcium and vitamins on it's back in the water. Supplement the food by dusting if you don't already. 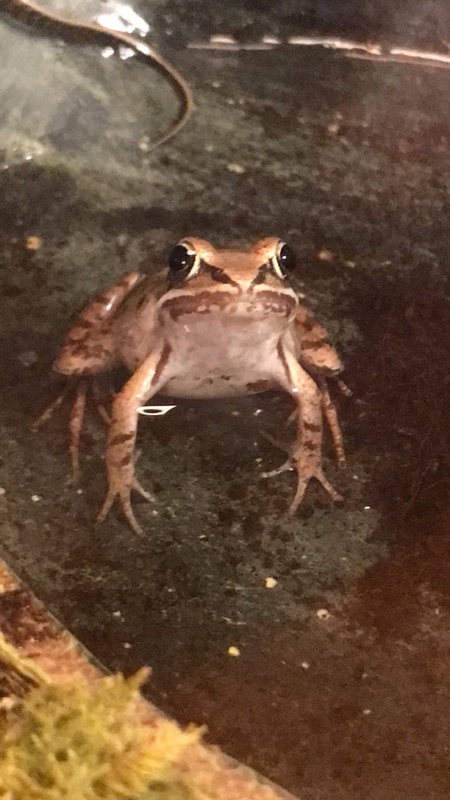 It's a wood frog (Lithobates sylvaticus). I do dust his food with calcium and vitamin. As for putting it on his back, would I just put the powder on his skin? That won't hurt him for anything? directly on its back with a light mist is for quick absorption if you suspect deficiency. Dusting the food should be adequate. A calcium deficiency would be my first guess too. I'd suggest dusting food with Repashy Calcium Plus. Very good stuff and has a bit of Vitamin A in it as well.